December | 2011 | Small Farmers. Big Change. On December 7th, Francisco VanDerhoff Boersma, co-founder of the first fair trade certifying body, Max Havelaar, and the renowned small farmer co-operative in Mexico, UCIRI (Union of Indigenous Communities of the Region of Isthmus) submitted the following extremely important proclamation from the Mexican Coordinator of Small Fair Trade Producers as a comment on our earlier blog post, “Who Owns Fair Trade?” Due to its importance, I’ve taken the liberty to have it translated from Spanish and am posting it here. The proclamation expresses the sentiments we hear from Fair Trade small farmer organizations throughout the Global South. I hope you’ll take the time to read the views expressed here. On December 2, 2011, the Mexican Coordinator of Small Fair Trade Producers held their General Assembly in Tuxtla Gutierrez, Chiapas. The “Mexican Coordinator” is made up of 40 small organizations, producers of coffee, honey and other products, from a dozen Mexican states bringing together 25 thousand small producer families. 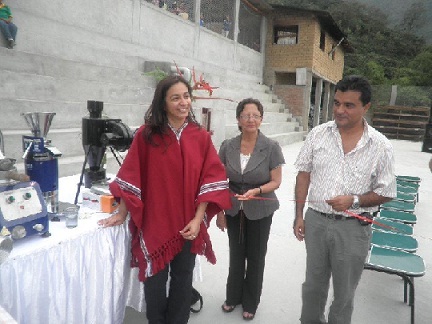 The “Mexican Coordinator” also forms part of the “Latin American and Caribbean Small Fair Trade Producers’ Coordinator”, CLAC. As part of the “Mexican Coordinator” Assembly’s agenda, we analyzed the recent separation of Fairtrade USA from the FLO system, the new direction that Fairtrade USA has taken and FLO International’s, and other fair trade actors’, reactions. 1 – In the first place, we are upset by Fairtrade USA’s decision to distance itself from the idea that fair trade is an alternative trade model that benefits small producers and sustainable, self-managed and democratic development. The “Fair Trade for All” model adopted by Fairtrade USA, in our opinion, is no more than a neo-liberalization of Fair Trade. For that reason, we deeply regret that Fairtrade USA has definitively turned its back on the Fair Trade movement’s original principals and on the same small producer organizations that gave Fairtrade USA its strength; Fairtrade USA lacks political consciousness about the present neoliberal model’s crisis. The neoliberal market model is in full crisis and we have the responsibility to construct another model: democratic and fair for all, including fair to our planet. 2 – With “Fair trade for All”, Fairtrade USA is putting small producer organizations’ future participation in the U.S. market in direct danger, initiating the certification of private plantations and allowing the certification of small unorganized producers. The United States’ market is very important for many small producer organizations in Mexico and unfair competition can have a serious impact on them. Now that Fairtrade USA has separated from FLO International, and therefore does not have to respect their rules, we fear they will lower the minimum price for coffee and other products, as they tried to do on many occasions in the FLO system. A basic Fair Trade principal is that a product´s price should cover the costs of sustainable production and democratic organization. Private plantations and unorganized small producers have lower costs than small producer organizations that respect the principles of democracy and equity through their obligations and social practices. 3 – Also we have never seen, nor are we now seeing, that Fairtrade USA has authentic representative participation by the Small Producer Organizatons in its decision making structures. For that reason we cannot even hope that this system’s new rules and criteria will take into account our organization’s concerns, needs and proposals. 4 – This separation is causing a lot of confusion and worry in the fair trade and responsible consumer movement, and among fair trade buyers in the United States. Many feel disillusioned and betrayed by Fairtrade USA and some have made public statements. Others regret the division and are taking sides with one of the seals, or not with either, not because they like one more but because of necessity. We believe that this abrupt division is generally affecting Fair Trade’s prestige and its political and economic clarity. 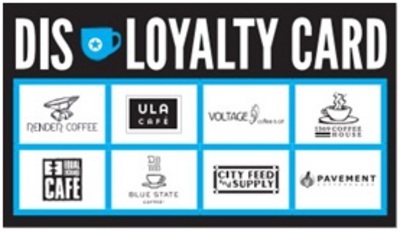 5 – FLO International has reacted to Fairtrade USA’s separation by defending the fact that with some products, like coffee and honey, private plantations are not certified nor is production by contract permitted. We agree with this defense and we believe that this new attitude by FLO International should serve to revise the whole FLO system so that it returns to its social and political origins which is the creation of a Different Market. We believe that Fairtrade USA’s separation obliges FLO International to take this opportunity to make real adjustments and return to the path that we have built as small producer organizations with so much effort and during so many years together with conscious consumers, solidarity businesses and also many people within FLO’s system of different National Initiatives that are committed to small producers and fair trade as a different market. 1 – We have to fight hard against big corporations’ unfair practices that increasingly control the markets. Unfortunately, these practices also exist within the fair trade market. Sadly we have seen big corporations obtain large government subsidies which strengthens their dominant position in the field, practically ruining long term organizational efforts. 2 – We have had to confront high market prices which create a financial problem for small producer organizations trying to secure enough accessible credit. There is not enough available financing and financial costs and risks are high. Big corporations take advantage of these moments to weaken our organizations and disarticulate small producers thus strengthening their almost absolute control of production. 3 – The increase in petroleum prices and the cost of the basic food basket have made production costs and the cost of living go up. An increase in our products’ prices does not necessarily translate to a good quality of life. 4 – We have struggled with new technological barriers for entering the market, as in the case of honey, where we have had to build new and complex processing plants with safety certifications so that the honey could access different markets. 5 – We are completely outraged by governments’ authorization, among others the Mexican government’s, for planting genetically modified crops on a large scale which inevitably contaminates our products, for example honey, in our country. As producers we have always struggled against the use of genetically modified crops in order to care for our planet’s eco-system, to protect native crops, to assure our producers’ and consumers’ health and to avoid dependence on transnationals that produce and patent genetically modified crops. This contamination means that, in the future, we cannot guarantee that our products will not have (slight) traces of genetically modified material. 6 – Finally, all producers are being faced with the consequences of climate change, in our production as well as in our communities. We have suffered floods, landslides, excessive rainfall and drought, new plagues that affect our family security as well as the quality and consistency of our production and therefore our income. For all we have mentioned above we make an energetic call to the whole Fair Trade and Sustainable Production Movement that the struggle and division among seals not distract us from the small producers’ real problems. As small producers we need prices that cover production costs and environmental measures, we need a truly fair economy so that producers can continue to work for a dignified life and can continue to safe-guard the environment as well as guarantee healthy products for the world population. Our small producer organizations can only move forward with authentic fair trade and sustainable or organic production. We are doing, and will do, all that is within our reach, without resting, so that consumers and solidarity businesses continue to join our cause. We know that we have many allies in this struggle and we are sure that together we will accomplish our mission. 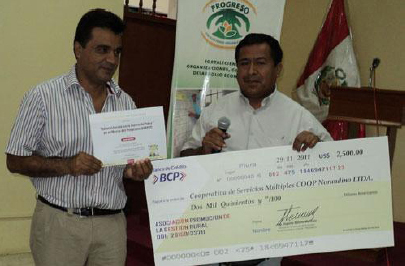 The Mexican Coordinator of Small Fair Trade Producers, A.C.
With January just around the corner, how many of you were aware that the United Nations has designated 2012 as the International Year of the Co-operative? 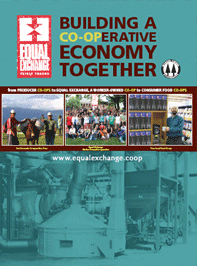 At Equal Exchange, we’ve been shouting the merits of co-operatives ever since we were founded. As a 100% Fair Trade organization, buying all of our products from democratically-run cooperatives and associations of small farmers, doesn’t it make sense that we would extend our firm belief in the co-operative’s form of ownership and governance to our own workplace? In today’s world of expanded corporate power and the ensuing results that are causing so much economic disparity and injustice, isn’t it well-beyond time to actively promote co-operatives as a viable alternative economic model? Check out this really fun 2-minute video explaining the co-op difference produced by a member of the National Coop Business Association (NCBA), CCA Global Partners. Thanks to Becca Koganer at Equal Exchange and Melanie Madden of the Davis Food Co-op for sharing it with us!